“After many years of accepting dentures as a solution to an inherent problem with my teeth I finally approached Liam regarding options for the future for me.Sick of having to replace dentures every few years and indeed often having to remove them early each night I decided that comfort should usurp cost and something needed to change. I received a detailed description of the options available to me being implants or bridging and made the decision to go with the implants. What I was most impressed with was the thorough investigation that was followed up with various parties to assess my suitability (scan in Limerick and review at conference in Manchester). I was deemed to not be a suitable candidate for implants without grafting and decided that this was a step further than I wanted to go on a personal level. Bridging was the option remaining open to me, Liam and his team progressed with this and three months from when I have had the bridge work done my only regret is not have it done years ago. While going through with this I received plenty of free advice regarding going abroad being a cheaper option. My case turned out to not be straight forward and I am very glad that in having the procedure explained in detail I was provided with the information to go ahead with the most suitable option for me.  Would you like to give our dental practices a review?